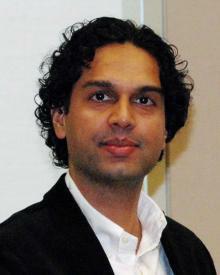 Suhaib Riaz is an Associate Professor of Management at University of Ottawa, Canada. His research is focused on grand challenges of current and future global significance – such as inequality, socioeconomic and political crises, financialization – along with new organizing and institutional change initiatives (e.g. involving social entrepreneurship and social innovation) to address such challenges in various global contexts. He brings to the University of Ottawa around 10 years of teaching and research experience, including most recently as Associate Professor (tenured) at University of Massachusetts Boston, where he taught at the undergraduate, MBA, and executive-MBA levels, and was also involved via specialized lectures and supervisory roles in the PhD program. His research has been published in Organization Studies, Journal of Business Ethics, Human Relations, Organization, Research in the Sociology of Organizations, Journal of World Business, Critical Perspectives on International Business, and The Leadership Quarterly. His work has also appeared in Harvard Business Review online, The Conversation, Ivey Business Journal, Academy of International Business Insights and has been republished or cited in Businessweek, Huffington Post, Forbes and several other prominent outlets. He has received national level (SSHRC) and university level research grants. He has been an invited speaker for showcase symposiums and panels at Academy of Management, Strategic Management Society, and European Group for Organizational Studies, and a keynote speaker at Boston Field Research Conference. He edited a special issue on economic inequality at Human Relations and currently serves as editor for “Global Issues and Business Ethics” section at the Journal of Business Ethics. Riaz, S. The Inequality-Aware Organization. In Wunder, T.. Rethinking Strategic Management: Competing Through a Sustainability Mindset. Springer, 2018. Riaz, S. Debt for all: Towards a critical examination of organizational roles in debt practices and financialization. In Mir, R., Willmott, H. and Greenwood, M. . The Routledge Companion to Philosophy in Organization Studies. Routeledge, 2016. Buchanan, S., Ruebottom, T. and Riaz, S. 2018. Categorizing competence: Consumer debt and the reproduction of gender-based status differences. Organization Studies, 39(9): 1179-1202. Bhatt, B., Qureshi, I. and Riaz, S. 2017. Social entrepreneurship in non-munificent institutional environments and implications for institutional work: Insights from China. Journal of Business Ethics, https://ssrn.com/abstract=2911732. Riaz, S., Buchanan, S. and Ruebottom, T. 2016. Rhetoric of epistemic authority: Defending field positions during the financial crisis. Human Relations, 69(7): 1533-1561. Riaz, S. 2015. Bringing inequality back in: The economic inequality footprint of management and organizational practices. Human Relations, 68(7): 1085-1097. Riaz, S., Rowe, W.G. and Beamish, P.W. 2014. Expatriate-deployment levels and subsidiary growth: A temporal analysis. Journal of World Business, 49(1): 1-11.